Junk mail… ahh that cheeky little indulgence of sitting down with a cuppa and flicking through the upcoming specials, seems innocent enough doesn’t it? However, have you ever really stopped to think of what the impact is of all those catalogues clogging up your mailbox? 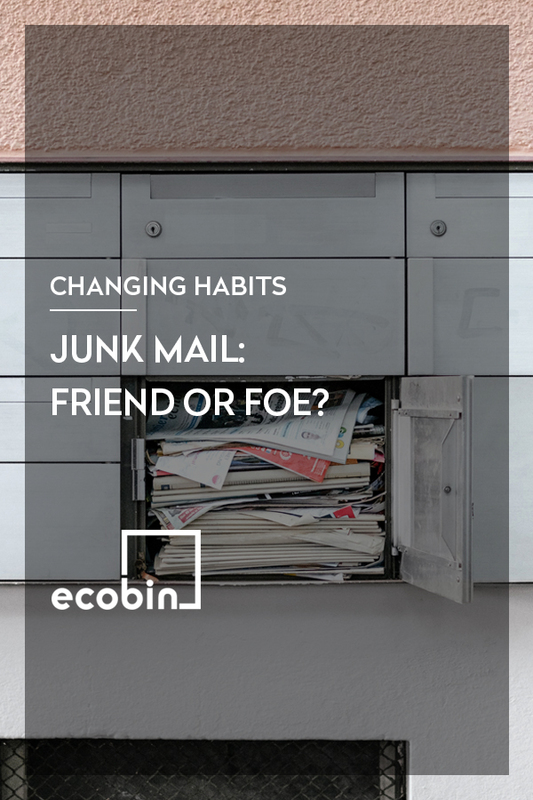 There’s been a lot of focus over the last few years from some of the larger businesses concerning the environmental impact of junk mail. The results: more companies opting for electronic catalogues and bills over the old paper kind, which is a welcomed change. What’s the problem with Junk Mail? It is estimated that globally approximately 100 million trees are harvested to produce junk mail each year. In Australia alone, around 8.2 billion articles of junk mail are produced yearly, along with over 650 million articles of addressed promotional mail. Out of the 8 billion catalogues that are delivered around Oz, would you believe that only 20% of them are ever read, leaving the remaining 80% going straight into our recycling bins. Whilst we are always advocates for recycling, and it’s great that most people know to dispose of their junk mail in the correct way – and even better solution for our environment is not to have the junk mail in the first place! Say no to junk mail in your letterbox: by simply placing a sticker on your letterbox that states that you do not accept junk mail. The more people who can do this, the less likely it is where catalogues are going to be produced, resulting in the slow phase out of this method of advertising. Register for online catalogues: if you like seeing the bargains in your favourite stores, jump onto their websites and sign up to their mailing list. This will mean specials and catalogues are delivered to your Inbox electronically without causing any environmental damage. Register for paper bills: most organisations now offer you the opportunity to have your bills and statements given to you electronically, rather than printed and mailed to you. This is a fantastic way to save precious resources and also helps ensure nothing gets lost in the mail, resulting in overdue bills! Win Win! Do not accept catalogues: there are a lot of businesses around that have catalogues on their counters and try to pop one into your shopping bag as you are leaving the store after a purchase. This is your opportunity to take a stand and simply say no thank you. Again, by showing the companies we’re not interested in their printed marketing material we’re sending a clear message that this is not the best way forward in the future. Some of these suggestions may seem like small things to do, but it is important to remember that every single small step counts. Your commitment, voice and actions matter and will help to ensure future generations have a healthy planet to live on.